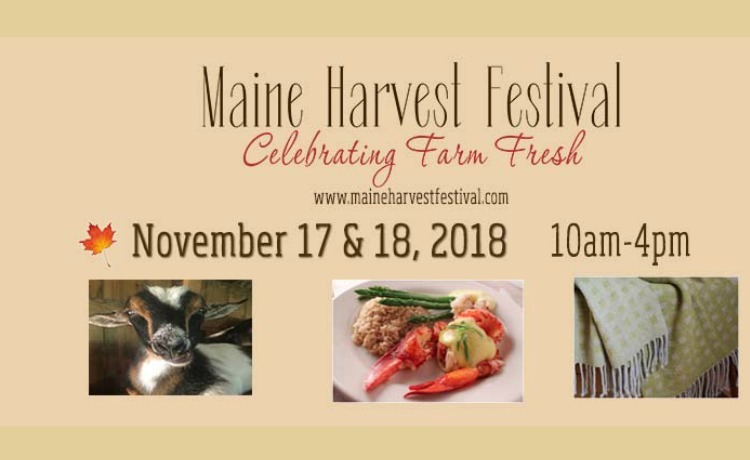 We invite you to join festival friends from Greater Bangor, the great state of Maine, northern New England and Canada to experience and enjoy the fall harvest of over 200 Maine farmers, festival food producers and their extraordinary creations as they “Celebrate Farm Fresh!” at this year’s 8th annual Maine Harvest Festival. Sample the best of the best from our Maine vintners, brewers and distillers. Begin your holiday shopping with festival fiber artisans and their masterpieces and enthusiastic Maine chefs and home cooks as they showcase and share their story, demonstrate, sample and sell what makes Maine, Maine. Bangor’s Cross Insurance Center staff and festival volunteers are anticipating over 8000 happy shoppers who prefer to “Buy Local” as they meet and greet vendors in our 35,000 S.F. Marketplace. We are very proud of our amazing event and happily share that it was recognized in 2015 as the 5th Best Harvest Festival in the country by USA Today. Come see why for yourself!